Clojure in Action, written by Amit Rahore and Francis Avila, is an essential, thorough, and well organized introduction to Clojure 1.6 that explores the core parts of the language while introducing the reader to Clojure's pragmatic and idiomatic nature. InfoQ has spoken with Francis Avila to learn more about his book, Clojure's advantages, and its future. Addison Wesley’s Clojure Recipes is a new book that aims to help developers to get deeper into Clojure, moving from a generic understanding of the language features and syntax to setting up more complex projects that integrate external libraries. The book contains a collection of "weekend" projects targeting web client and server apps, implementing DSLs, using Datomic, Cascalog, Hadoop, etc. Reactive programming is a very hot topic: InfoQ asked three proponents of reactive programming how their libraries and frameworks achieve reactiveness and what this means for the developer. The participants are Viktor Klang (Akka), Timothy Baldridge (Core.Async), and Jafar Husain (RxJava). DevOps@Nokia Entertainment is the first article of the “DevOps War Stories” series. Each month we hear what DevOps brings to a different organisation, we learn what worked and what didn’t, and chart the challenges faced during adoption. The Joy of Clojure by Michael Fogus and Chris Houser is a book that tries to take the reader beyond the language syntax, and show how to write fluent, idiomatic Clojure code. It teaches how to approach programming challenges from a Functional perspective and master the Lisp techniques that make Clojure so elegant and efficient. If you're familiar with Clojure, then you may know that at its heart lays a powerful set of immutable, persistent, collection types. This article covers the underpinnings of these collection types including a deep dive into a couple of them; namely vectors and maps, and presents an example of how viewing a problem through the lens of the "Clojure way" can greatly simply a design. 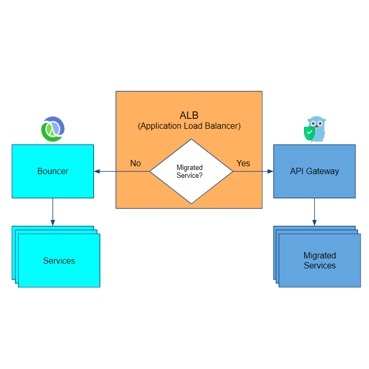 InfoQ takes a look at how a combo of Clojure and Google AppEngine (GAE) powers a new online project management tool, how Clojure integrates with GAE's key/value store, and the power of LISP. FlightCaster, a realtime flight delay site, is built on Clojure and Hadoop for the statistical analysis. The web frontend is built with Ruby on Rails and hosted on Heroku. We talked to Bradford Cross about Clojure, functional programming and tips for OOP developers interested in making the jump.